We replace wrist seals, neck seals, and ankle seals. Latex Seals cover Standard, Heavy Duty Long, Heavy Duty Short. For installs only, seals are provided by the customer. Neck Seals: Latex and Neoprene. 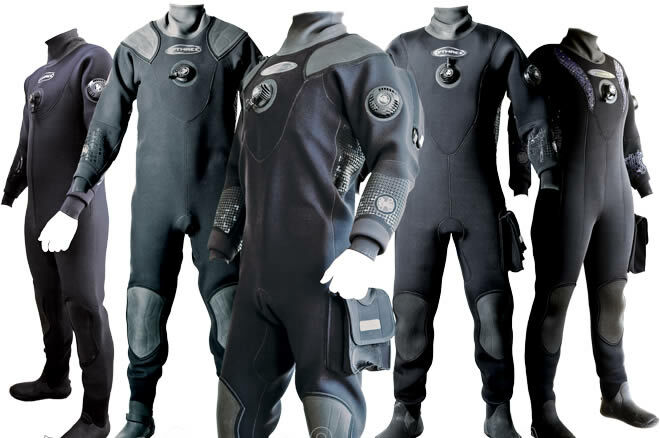 We provide the diving retailer, the sport scuba diver and the commercial diving industry with professional quality services to help maintain the performance and fit of all manufacturers "DRY SUIT" styles. No problem fixing zippers on dry suits and wet suits. We repair valves on dry suits. Unlike other repair facilities, we do repairs on all suit material types, and all manufacturer styles. Seams - All Suit Types. Charged per foot of seam.